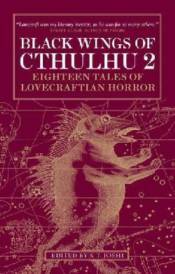 The works of H. P. Lovecraft have inspired brilliant writers for decades, leading Stephen King to call him the "twentieth century's greatest practitioner of the classic horror tale." S.T. Joshi-the twenty-first century's preeminent expert on all things Lovecraftian-gathers greatest modern acolytes, including Caitlin R. Kiernan, Ramsey Campbell, Michael Shea, Brian Stableford, Nicholas Royle, Darrell Schweitzer and W.H.Pugmire, each of whom serves up a new masterpiece of cosmic terror that delves deep into the human psyche to horrify and disturb.